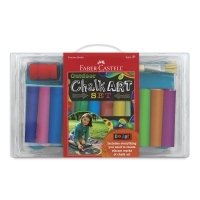 Outdoor chalk drawings are fun for children of all ages to create and enjoy! 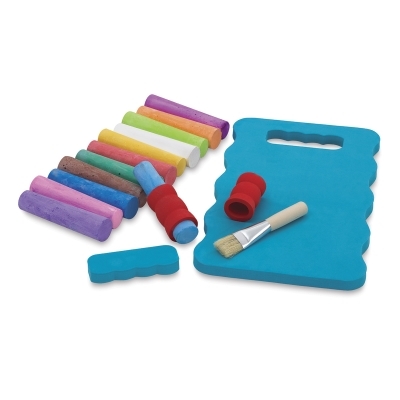 This handy set gets kids outdoors and creating dimensional artwork that incorporates elements of nature and architecture such as trees, flowers, grass, brick patterns, stones, and more. For children age four and older.